The French love Egypt. They study it at school several times during their scolarity which means that they end up knowing quite a lot about it. Ancient Egypt, I mean, with the mummies and pharoahs. As a result, Black Cat had her heart set on going to Egypt so when she was about 12, I promised I’d take her there for her 18th birthday. Due to the political situation at the time, we didn’t go until the following year but when we did, she absolutely loved it. 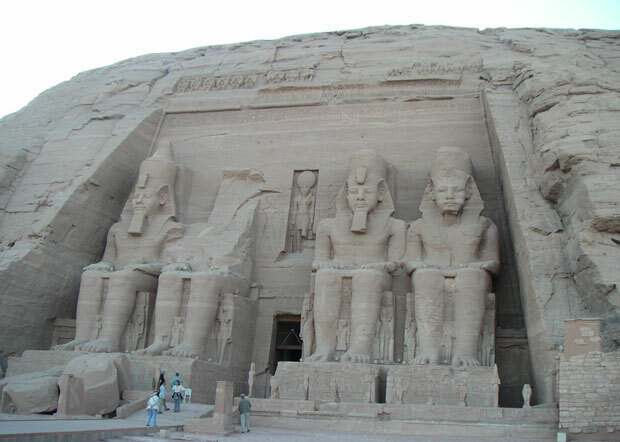 We started in Cairo with the Pyramids, which disappointed me a little – I found them overrated – then went to Abu Simbel which I thought was absolutely magnificent. The absolutely collossal statues suddenly appeared out of nowhere on the edge of Lake Nasser. One of the twin temples originally carved out of the mountainside during the reign of Pharaoh Ramesses II in the 13th century BC for his queen Nefertari. However, not knowing anything about Egyptian history at all, it took me a while to soak it in. After a week on the lake which was created as a result of the construction of the Aswan High Dam across the waters of the Nile between 1958 and 1971, visiting many historical sites that had been relocated when the valley was flooded to form the lake, I was ready to go back to Abu Simbel and see it all again. But we were scheduled to go to Luxor then up the Nile to the Valley of the Kings and Queens. 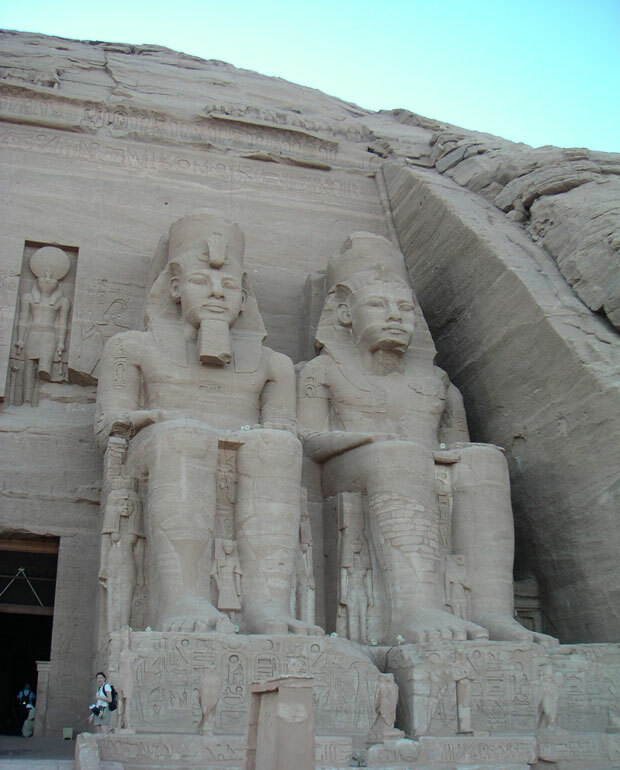 Abu Simbel remains my favourite, particularly in the late afternoon when there are fewer tourists. I’m sure you can see why from the photos. 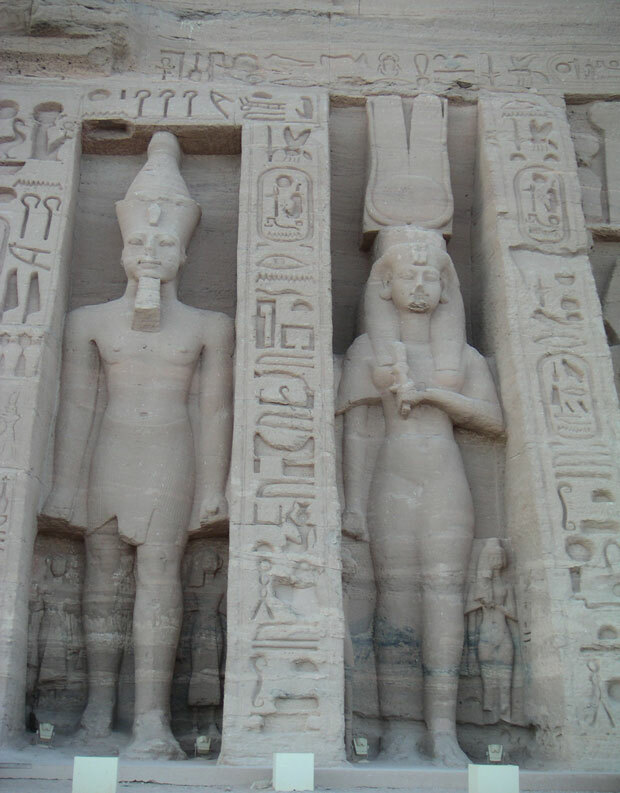 The temple built by Pharaoh Ramesses II as a lasting monument to himself to impress his southern neighbours. I’m sure they were! Close-up of the Ramesses II temple which along with the rest of the complex was relocated in 1968, on an artificial hill made from a domed structure, high above the Aswan High Dam reservoir. 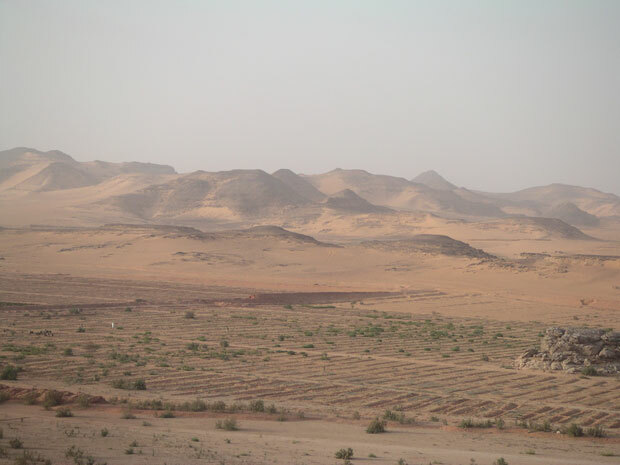 Crops growing on the banks of Lake Nasser. 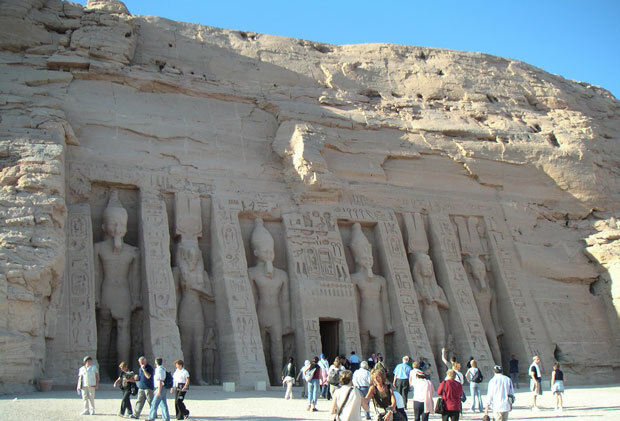 From the 6th century until 1815, the temples were entirely covered by sand. 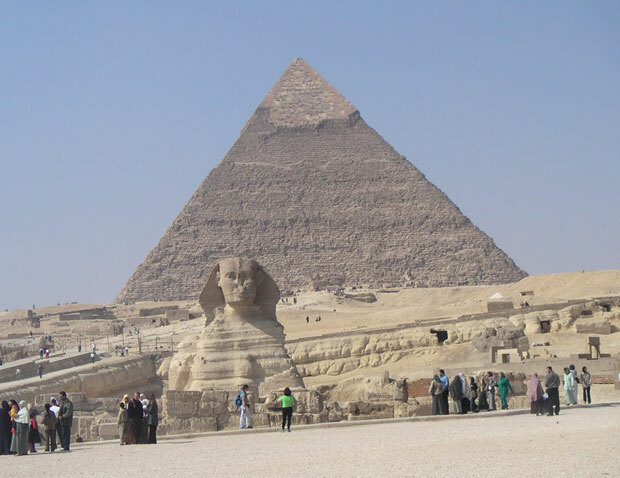 This entry was posted in Egypt, Travel photos and tagged abu simbel, Egypt, pyramids, sphinx. Bookmark the permalink.